Jameson Joinery manufactures a very diverse range of Architectural joinery. 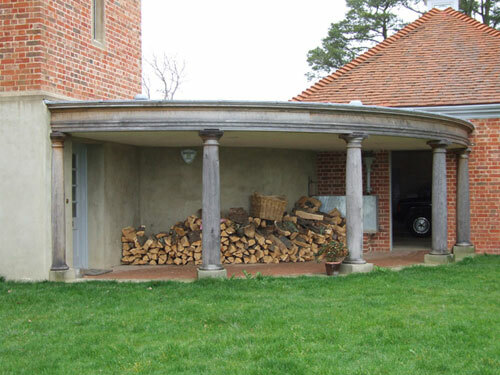 Work includes the repair of ancient and the construction of new timber framed buildings, staircases, windows, flooring, gazebos, glasshouses, doors, etc. Fire regulation certification, compuiter generator v-values calculations, building regulation compliance for products are available, as is a design service. Many of the Company's products have been installed in RICS, Heritage and other award winning projects, and the Company is recommended by English Heritage, The National Trust (to whom it is a constructor), and undertakes projects supported by the Heritage Lottery Scheme. 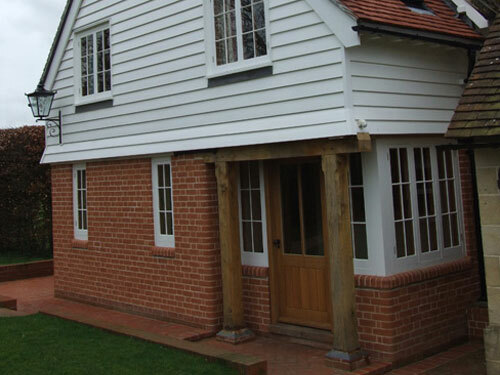 Architectual Joinery, Jameson Joinery is a architectual joinery manufacture company for corporate or private clients in the UK Sussex including London, Horsham and all the other surrounding areas. Curved oak walkway with corde turned columns. The core is an 18mm diameter hole drilled right through. Its purpose being to minimise splitting. 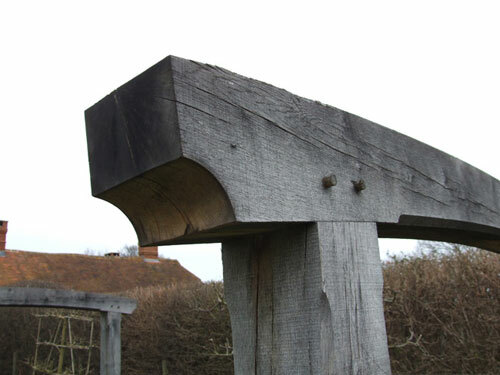 A radiused head for a green oak pergola. 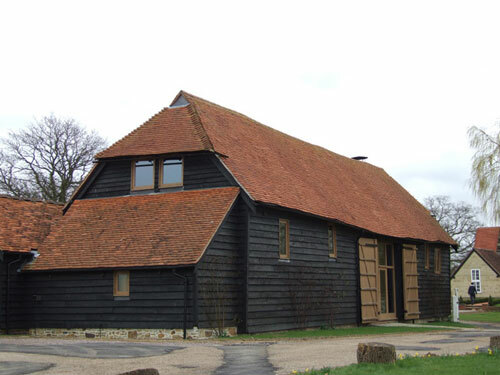 This derelict barn was re-built and converted into a party room. Oak was used for the joinery throughout. 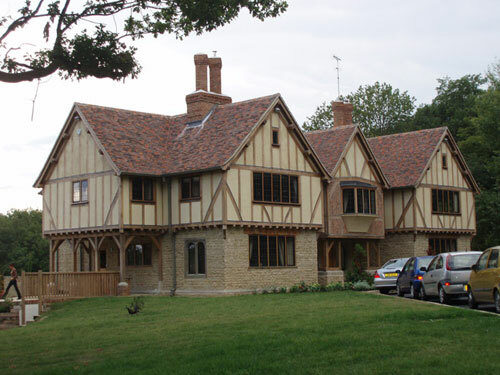 The prize-winning oak-framed house where the 150mm deep oak windows were fitted with metal casements. 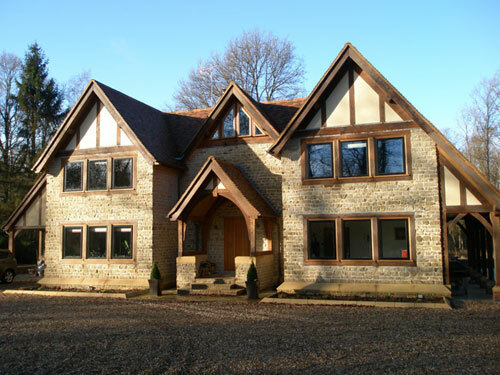 A contemporary design of house featuring heavy section oak windows. 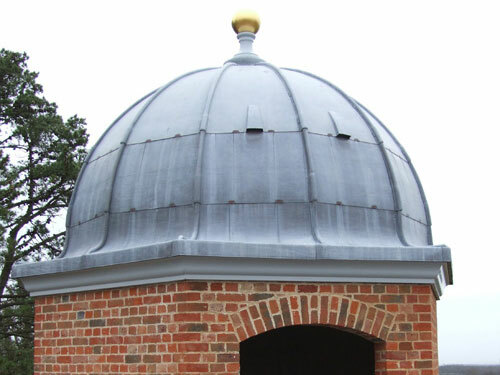 An hexagonal dome constructed with profile timber roof. Painted single glazed Douglas Fir windows installed in a new extension. 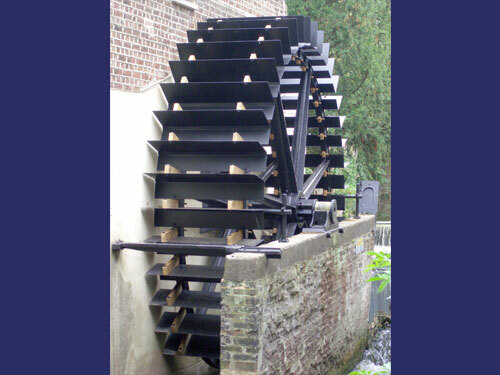 This water-wheel has recently been restored for the National Trust at Mordon Hall. Work included the ironwork as well as the timber work. 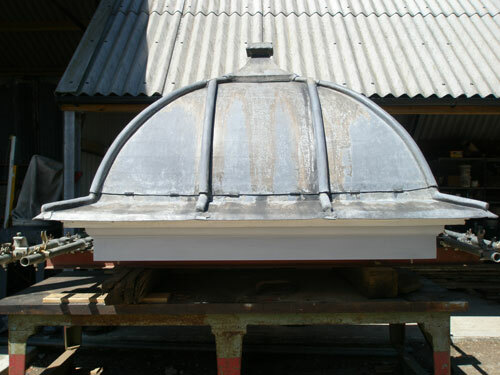 A restored clock-tower roof ready to be re-installed. 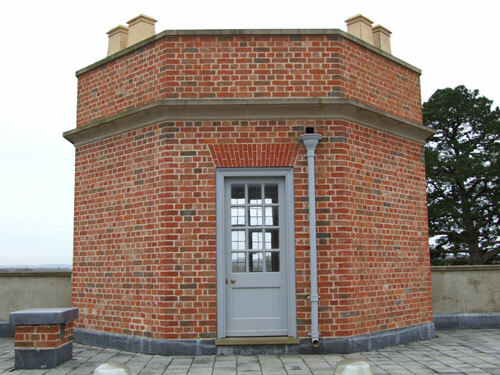 This roof folly is fitted out with painted hardwood joinery externally and hand-finished oak flooring and fitted benches internally.